These are the days of millions of followers, live streaming, likes, comments and hashtag movements, so it’s pretty safe to assume that no Social Media 101 preliminaries are required. Right. Let’s dive in! What is the use of a million followers if they are not a million outlets for your brand to get out there more and be that much more in demand? And frankly, who wants to tout a popular hashtag that can’t be cashed in at the banks, right? Nothing is impossible with the vast potential of social media but the tides will ebbs in whirls if there is no fixed plan or strategy to drive it towards a particular objective. What are you selling? An in-depth look at the question of what your product or service is about and how it functions should provide further clarity on the second question. Who is buying what you’re selling? As simple as this question appears, it makes up over the ninth part of what will drive your marketing strategy. 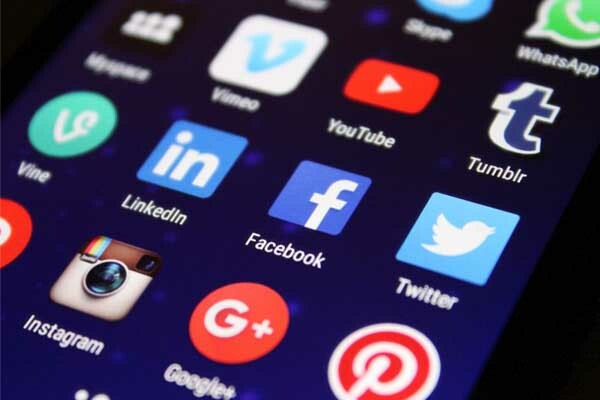 Demographic data about who uses what platform on social media is readily available to help you plan your brand social media pages and the kind of appeals that will attract your target customers. That settled, most of the plan really has everything to do with the customers you want to reach, so let’s thrash out a model social media marketing strategy point by point. Choice of Platform: It wouldn’t do to fall headlong into all the social media platforms available just because you can. Not all of them are profitable for business based on what you sell and who’s buying. Logistics and internet market analysis have it that SnapChat and Instagram, for example, is the favored arena for young people under age 30, Pinterest has more women than men, LinkedIn is for the intellectuals and professionals while Facebook, though catching a variety in its dragnet still is the preferred medium of the very young. So the choice to put up a brand page on any platform should be informed by the fact that target customers have a heavy presence on such platforms. Degree of interaction: will your brand pages allow customers to interact with you freely or will you limit the degree to which they can pitch in and air out their views and opinions? It’s only fair that people respond to a brand that’s friendly, responsive to posts and comments, and open to allowing the customer base to feel like they have had an input in new innovations as the brand evolves to meet their needs. Keep that in mind. Most likely, your posts will get shared and retweeted based on how interactive and engaging your page tends to be. Promotions and sales: once in a while, it would benefit your brand to crank up the good will by giving back to your customers during specific seasons or as a way of boosting publicity. Once customers cash in on the fact that your brand does this periodic thingy that all out for giving, it establishes rand loyalty and ensures that people keep on coming back for more. Good strategy, huh? Reach – very important especially when the brand is targeted at the young and trendy. The more the better. Re-posts – how well is your hashtag doing and how w many shares or retweets are you getting on your posts. This is social interaction and since there is no fail-proof formula, you must keep honing and honing until it’s smooth. Views – how many clicks do you get on an advert on the average. These days some advertisements become hits by striking a nerve with a section of the target demography or by pure controversy. Well, popularity never hurt any brand, you know. Appeal – your brand ought to be conscious of the perceptions of the customers. Gucci just had to withdraw a line of what it thought was cutting-edge fashion but what an overwhelming majority of its followers on the internet decided was racist fashion. A brand cannot ignore the sentiment of its users. Period. Negative feedback must be reversed and cordiality restored at all cost. Determine the best times to engage with customers: of course this can be looked in the sense of festive seasons like the Yuletide, Valentine’s Day and so on, but a daily timetable must be drafted at a time when people you desire to reach are at their peak of internet activity. The list could go on, really, but paying close attention to the above would be a good place to start. There is no excuse for poor social media management in this era where many a disaster can be fixed with a click.